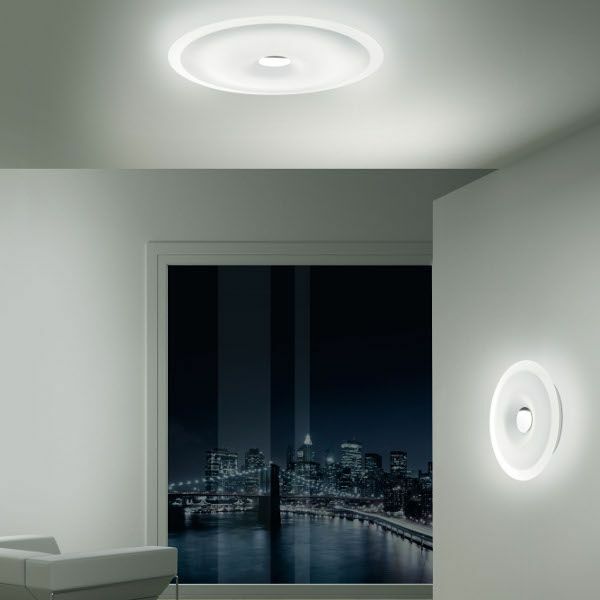 Product information "Planet 48/ 65 Wall/ Ceiling light"
A timeless wall or ceiling light is the ceiling light by Leucos Planet. It fascinates with its simple elegance, where it is made of heat-shaped white silk-screen glass with semi-transparent edge. Dimensions S in inch (WxHxD): Ø18.89" x 3,35"
Dimensions M in inch (WxHxD): Ø25.59" x 3,35"
Related links to "Planet 48/ 65 Wall/ Ceiling light"